​Villers-Bretonneux is a village 16 kilometres east of Amiens on the main road to St Quentin on the Somme. 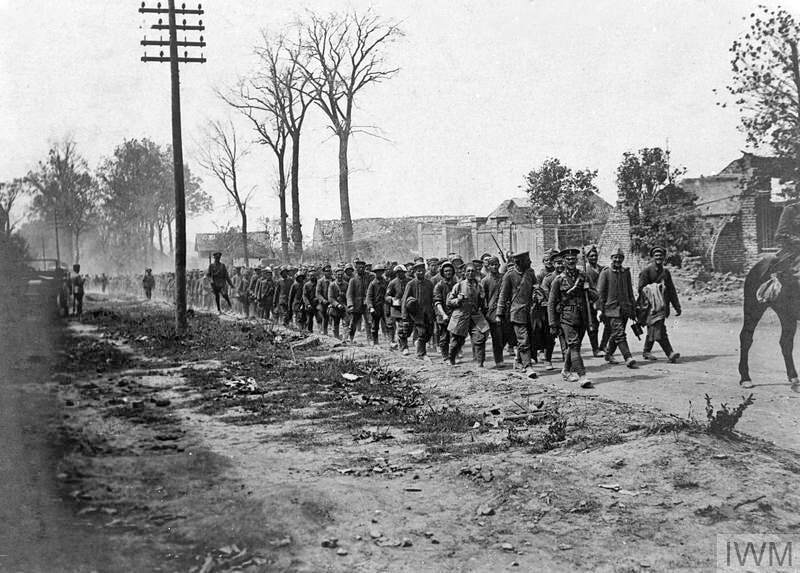 The town became famous in 1918, when the German advance on Amiens ended in the capture of the village by their tanks and infantry on 23 April. ​On the following day, the 4th and 5th Australian Divisions, with units of the 8th and 18th Divisions, recaptured the whole of the village and on 8 August 1918, the 2nd and 5th Australian Divisions advanced from its eastern outskirts in the Battle of Amiens. 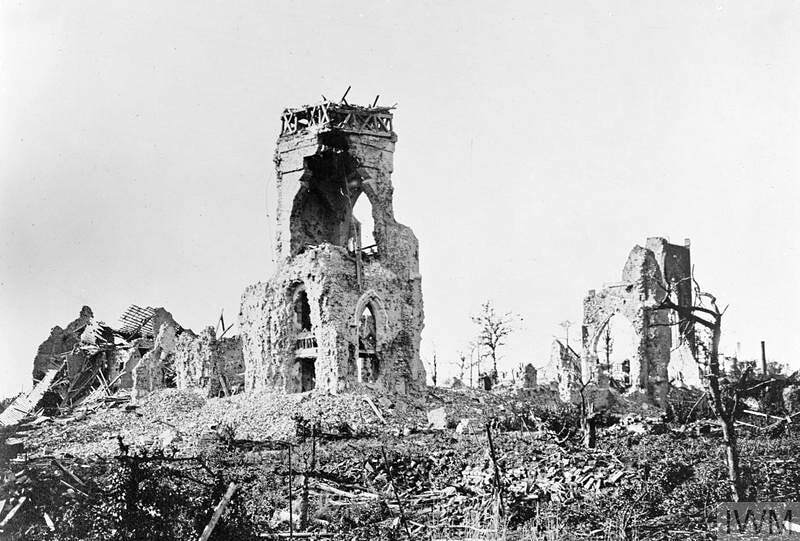 ​Left: The ruins of the church at Villers-Bretonneux photographed on 3 October 1918. 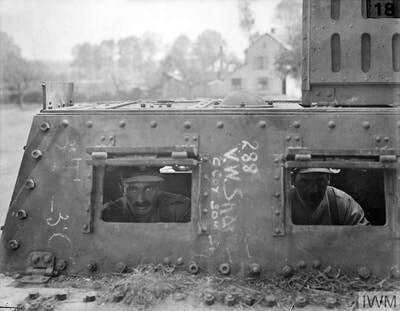 The IWM photograph on the right shows a French 274 mm railway gun heading for Villers-Bretonneux, 29 June 1916, while the one on the left above is of French sailors manning 47mm anti-aircraft guns at Villers-Bretonneux on 11 November 1916. Both scenes were shot by an unidentified French Army official photographer. 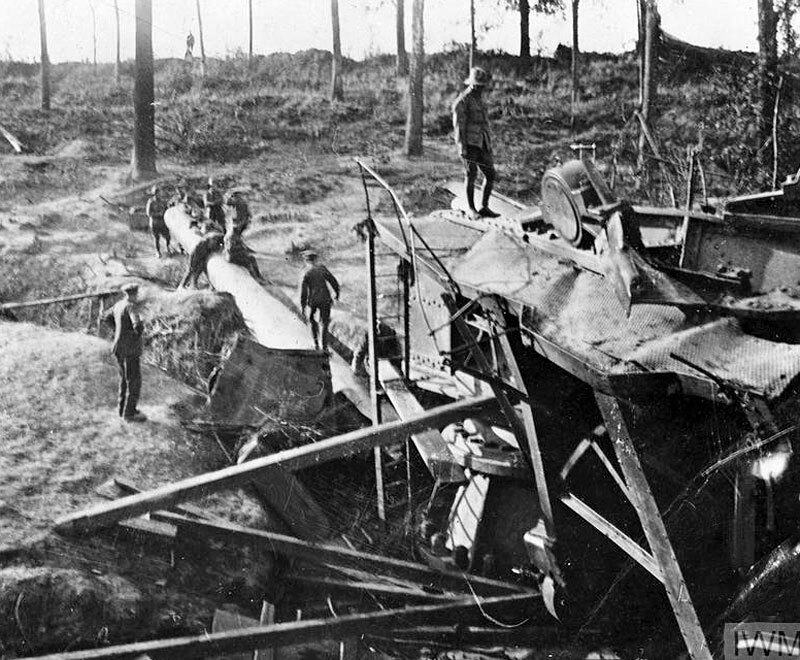 The 380 mm gun of Chuignolles was seized by the 3rd Australian Battalion on 23 August 1918. 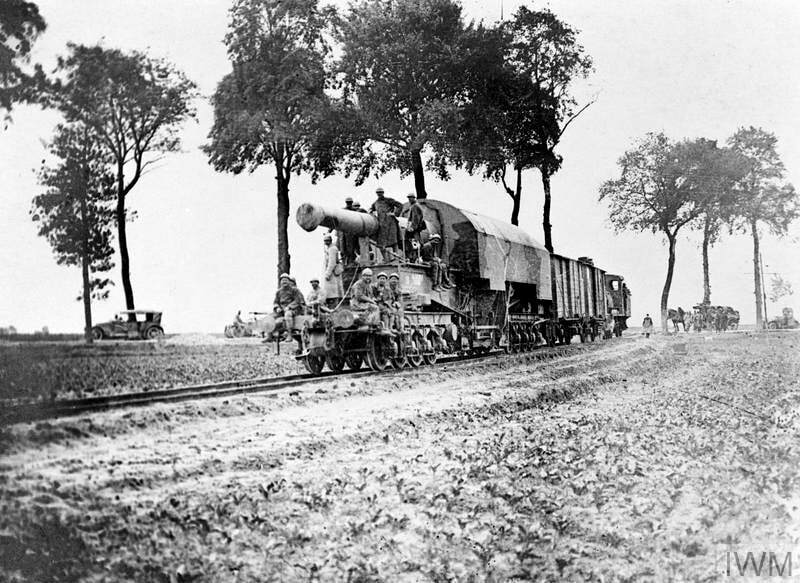 This was the largest artillery piece taken by the Allies during the Great War (calibre 15 in, length 70 feet, range 24 miles). 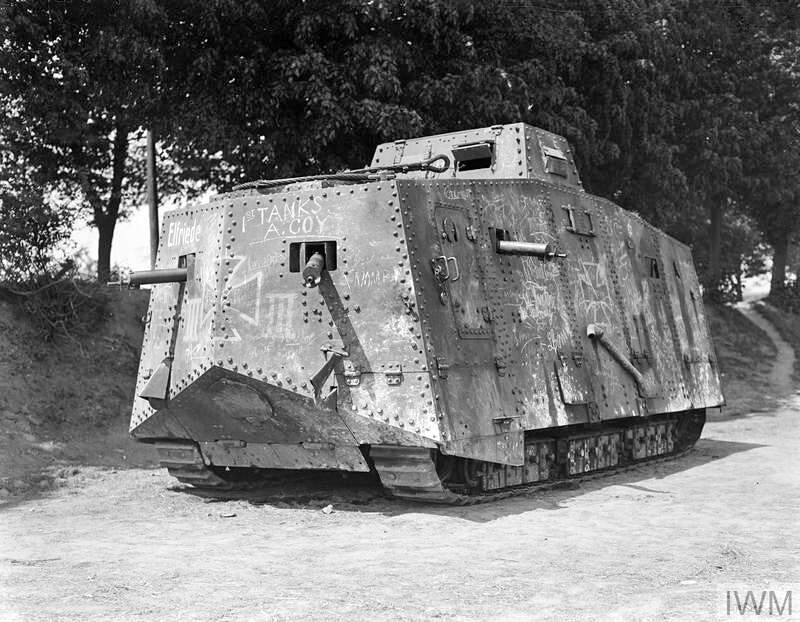 The gun was used from July 1918 - August 9th for the bombardment of Amiens, after which it was disabled by its gun crew to prevent it falling into British hands. 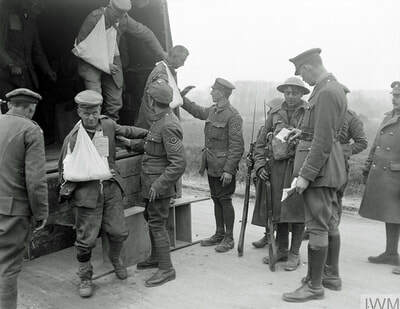 It was presented by its captors to the city of Amiens. 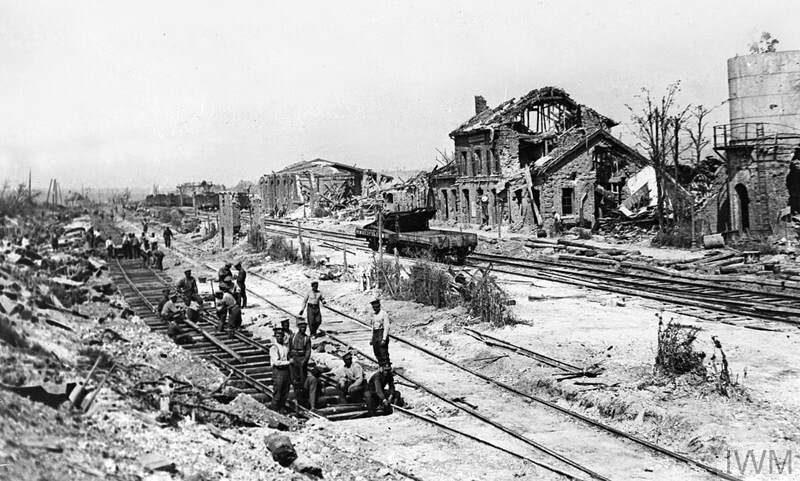 Right: Royal Engineers constructing a new line at the ruined railway station at Villers-Bretonneux, 14 August 1918. 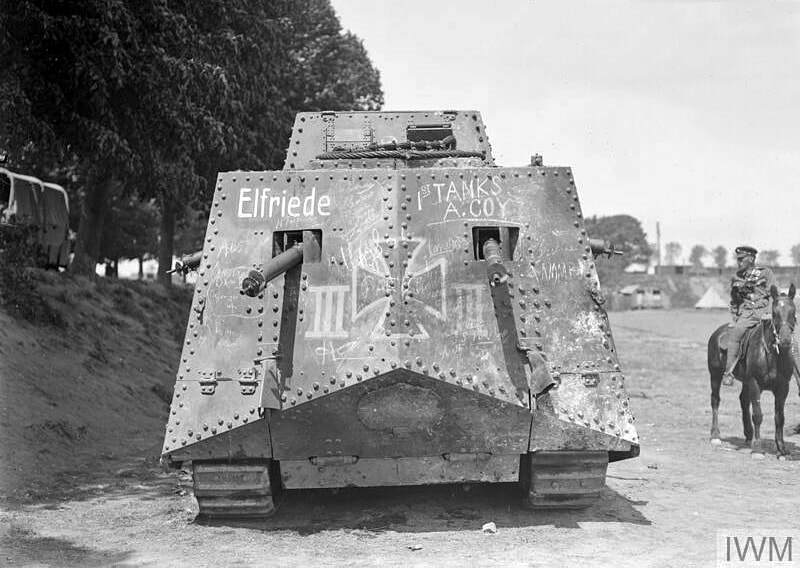 This German Tank `Elfriede` was disabled and captured by "A" Company, 1st Battalion Tank Corps, on the Hangard en Santerre Road, just one kilometre from Villers-Bretonneux. 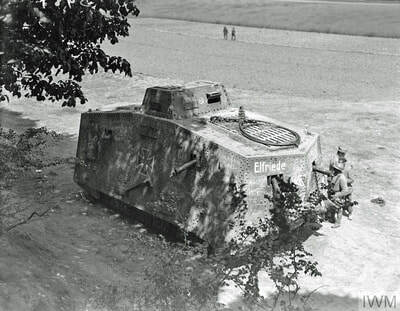 The action took place on 24th April, 1918, during what was the German`s first tank attack. 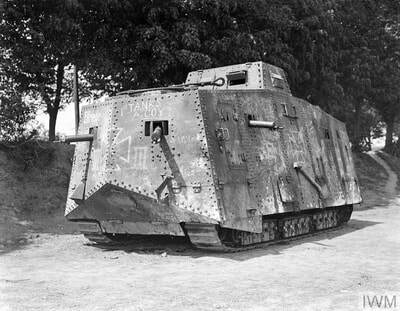 Only 20 of these machines were built, the track being far shorter than the body whcih made them particularly cumbersome. Armament consisted of 8 heavy machine guns and a 57 mm. 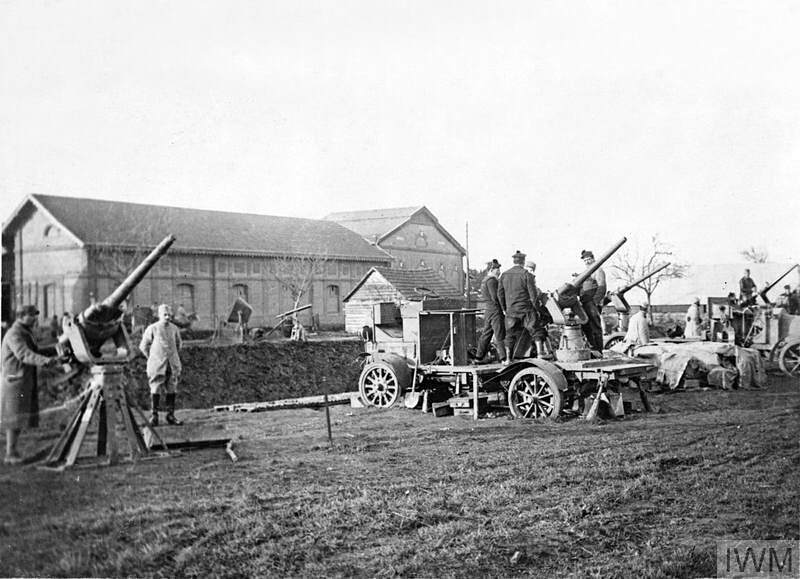 quick-firing gun. 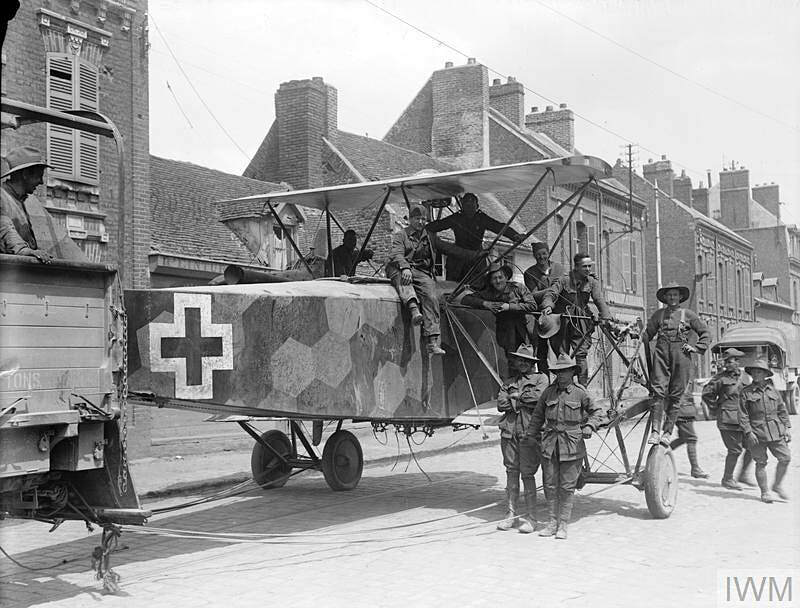 Also captured was this wrecked German AEG G.IV bomber which is being towed through Amiens on 17 May 1918 by a lorry manned by Australian troops and Royal Flying Corps (RFC) mechanics. 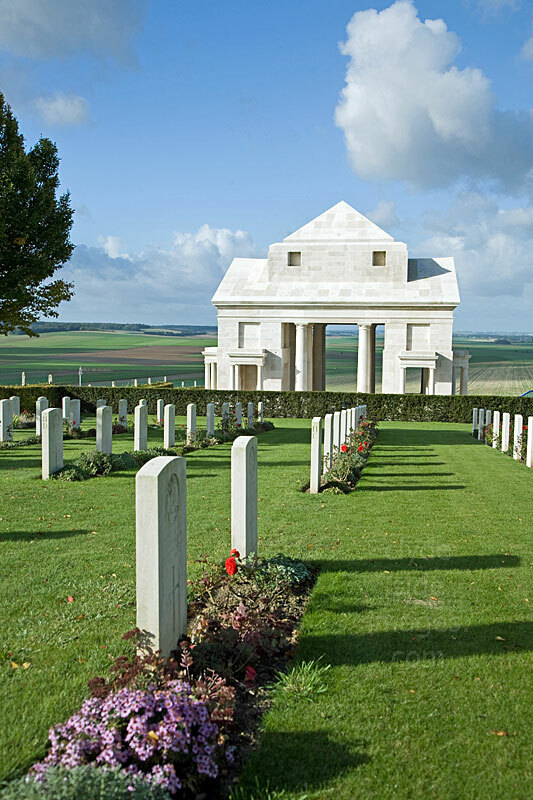 This military cemetery lies about 2 kilometres north of the Villers-Bretonneux, on the east side of the road to Fouilloy. Here, as in most WW1 Commonwealth War Graves Cemeteries, the remains of men from numerous regiments and units have been laid to rest within. 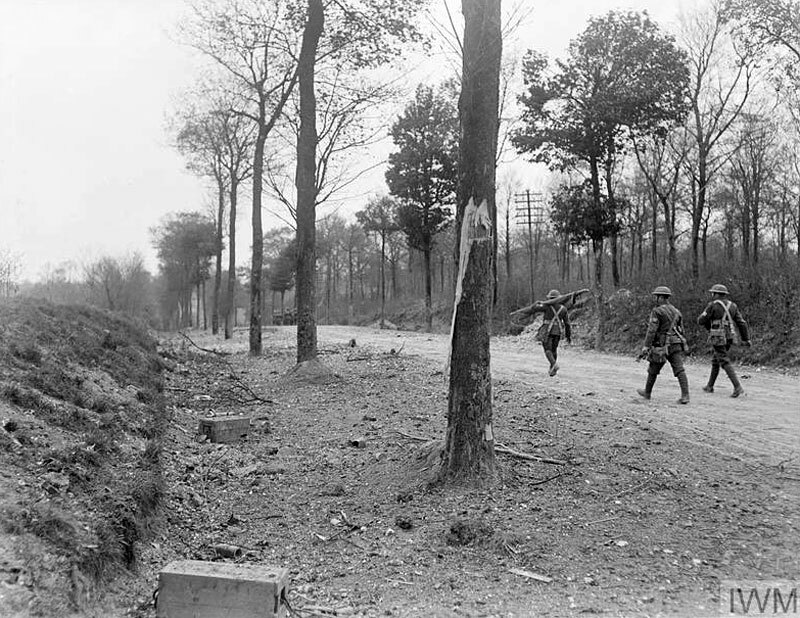 The cemetery was created after the Armistice when graves were brought in from other burial grounds in the area and from nearby battlefields. 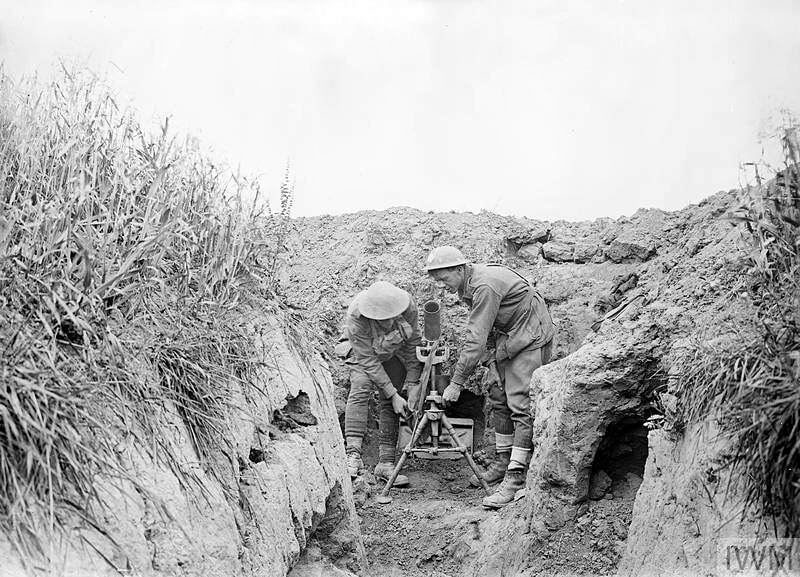 Plots completed by 1920 contained mostly Australian graves, almost all from the period March to August 1918. 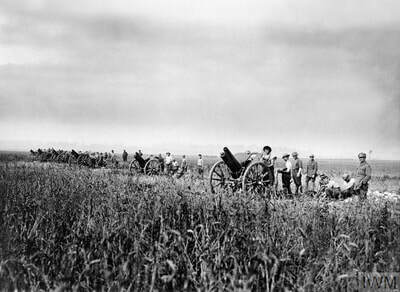 Then a large number of unidentified remains, collected over a far wider area, were brought in and buried by 1925. 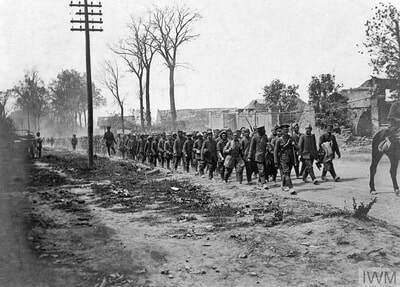 An additional 444 graves were transferred from Dury Hospital Military Cemetery. 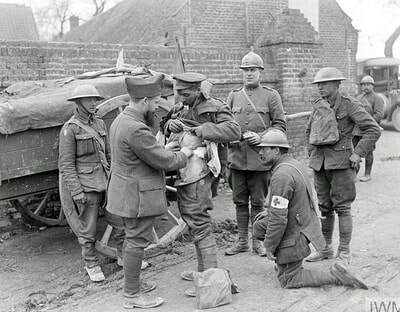 Jewish casualties, such as this Australian Infantryman, are denoted by a Star of David. 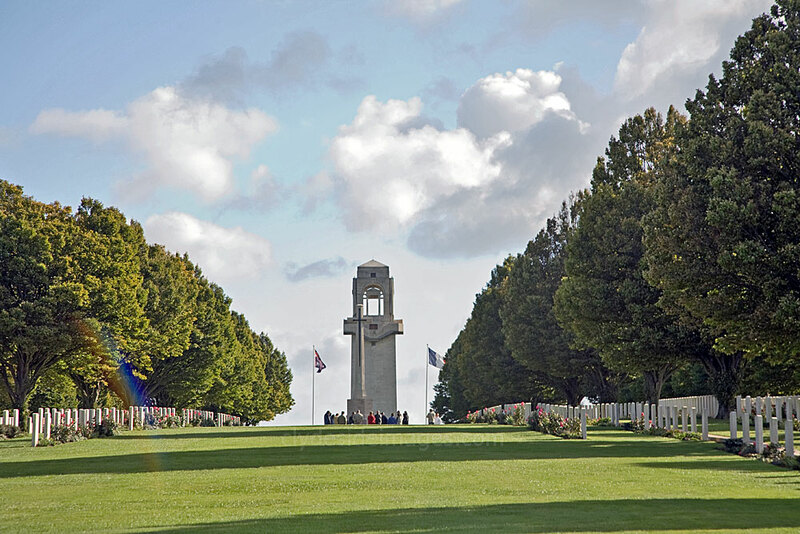 The tower is the central feature of the Australian Memorial and from the top there is an extensive panorama over the Somme battlefield and beyond with Amiens and its cathedral prominent to the west. 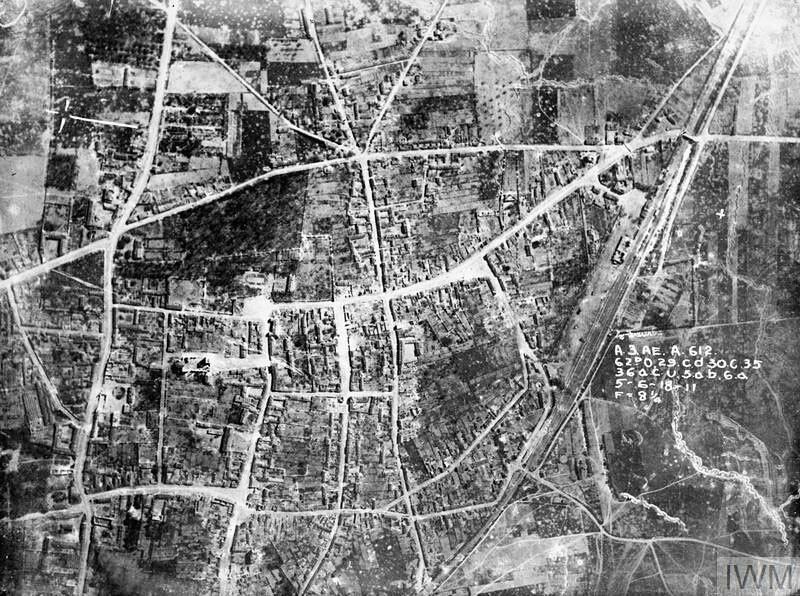 The Australians were heavily involved in the 1918 Spring Offensive and fought hard to prevent the Germans from capturing the city. 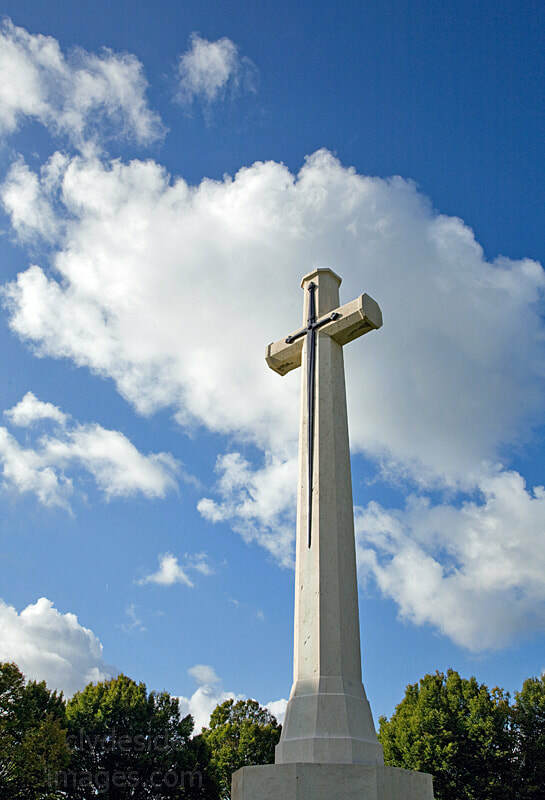 ​There are now more than 2,100 Commonwealth servicemen of the First World War buried or commemorated in this cemetery. Of these burials, 608 are unidentified but there are special memorials to five casualties known or believed to be buried among them, and to 15 buried in other cemeteries whose graves could not be found on concentration. The cemetery also contains the graves of two New Zealand airmen of the Second World War. 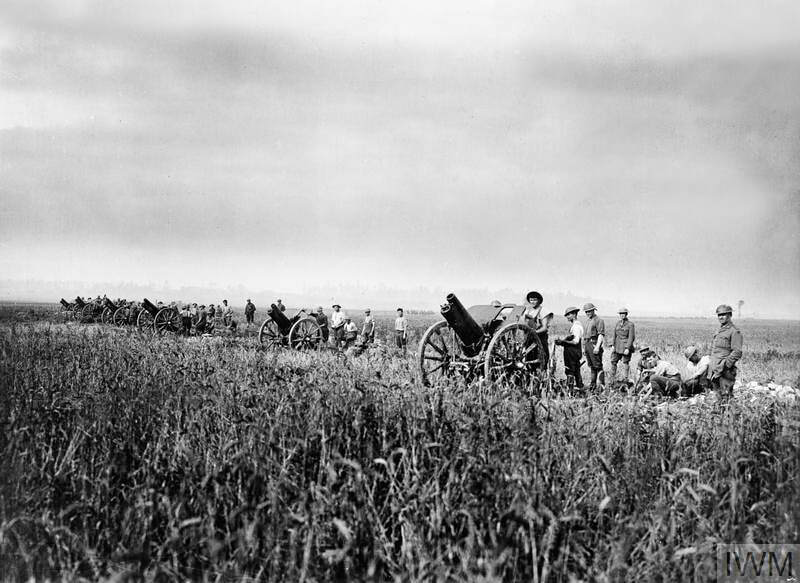 Within the cemetery stands the Villers-Bretonneux Memorial, the Australian National Memorial which was erected to honour all Australian soldiers, airmen and nurses who served in France and Belgium during the First World War, and to that nation`s dead, and especially to name more than 10,000 of those fatalities whose graves are unknown. 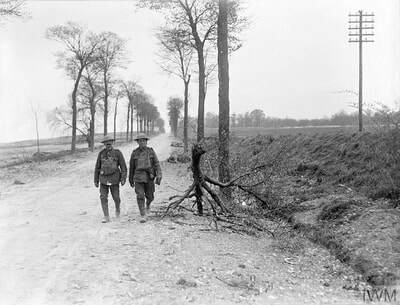 The Australian servicemen named on the memorial died in the battlefields of the Somme, Arras, the German advance of 1918, the Advance to Victory and in Flanders. 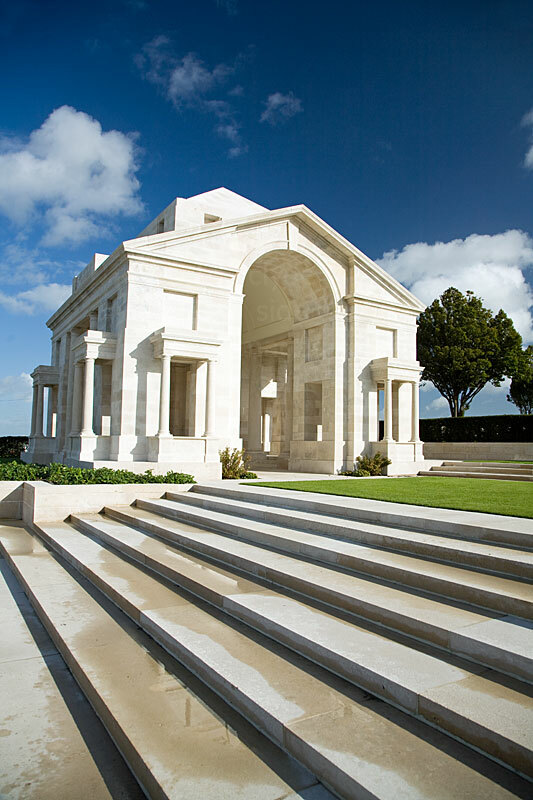 The memorial, the last of the major British Empire and Commonwealth Great War memorials to be built in either France or Belgium, and the cemetery were both designed by Sir Edwin Lutyens. ​The Australian and French national flags fly side by side. The memorial at Villers Bretonneux was unveiled by King George VI on 22 July 1938, barely a year before the outbreak of the Second World War. Among the dignitaries present were Albert Lebrun, President of France, and Earl Page, Deputy Prime Minister of Australia. 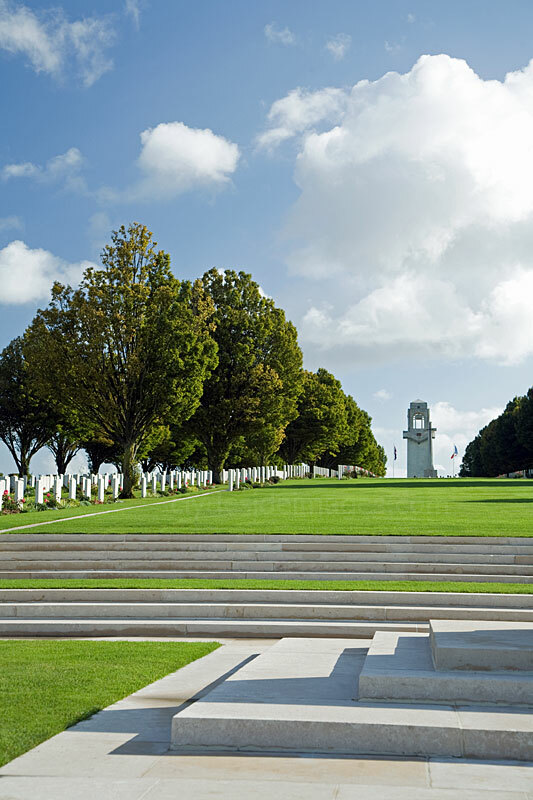 ​The names of Australia`s Fallen who have no known grave are grouped depending on where they died. 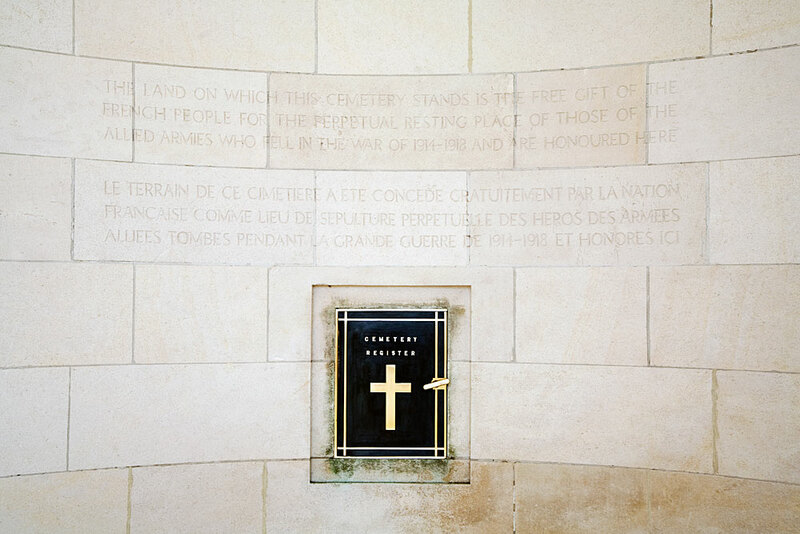 Some 10,700 men are named on the panels that stretch either side of the tower. These are not all the Australians who fell on the Western Front with no known grave: around 5,000 more are listed on the Menin Gate at Ypres, and another 1,300 at VC Corner at Fromelles. 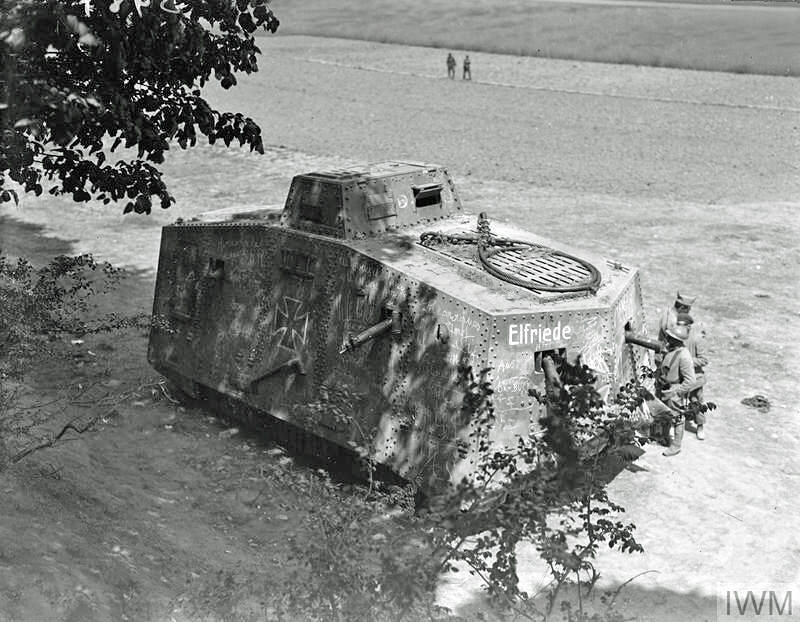 ​In 1940, advancing German armoured units shelled the memorial, whose tall tower offered an ideal observation point. 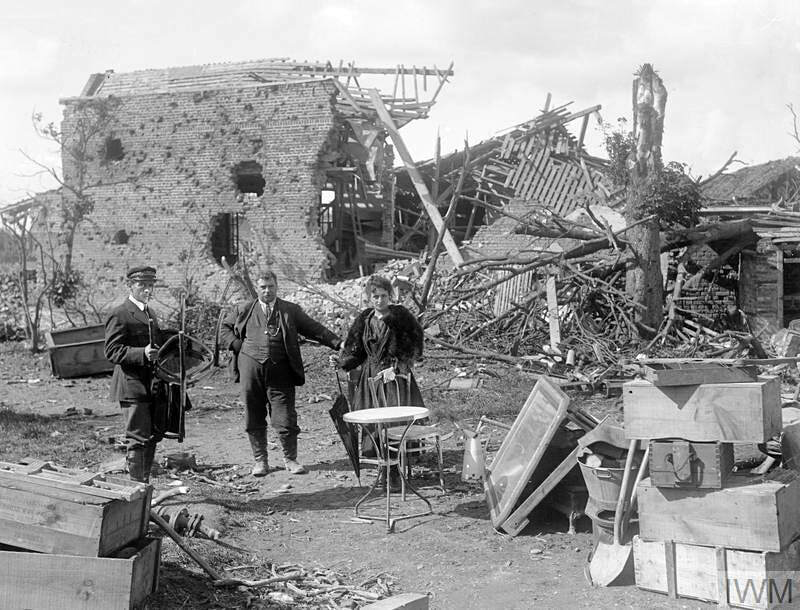 Some of the damage sustained at this time is still visible today. 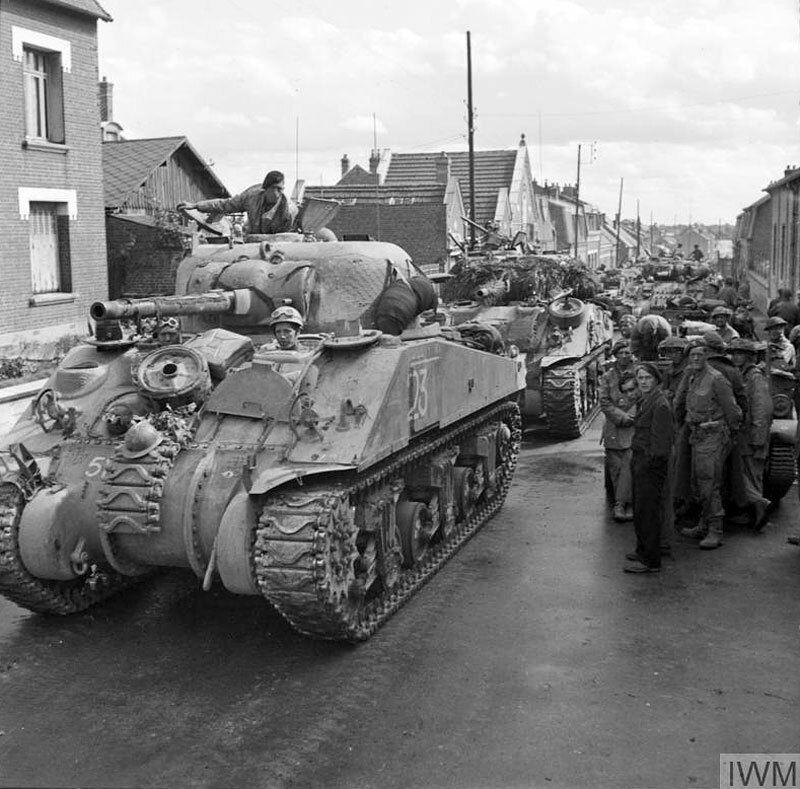 The image on the right shows Sherman tanks of the Guards Armoured Division passing through Villers-Bretonneux on 1 September 1944. 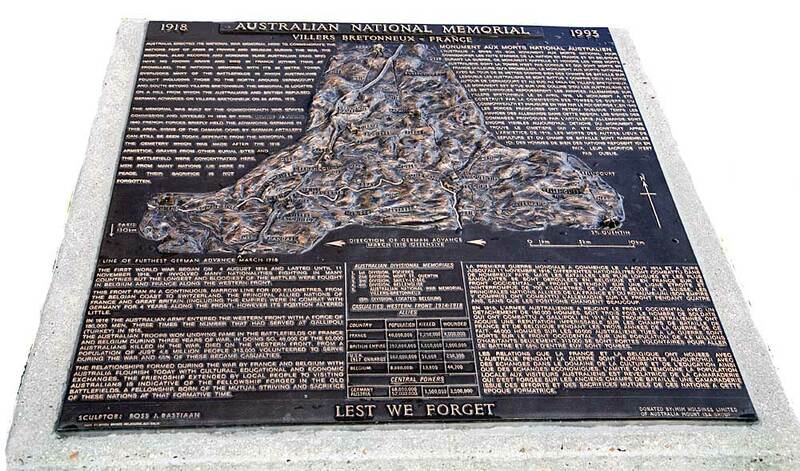 Now, every year on 25 April, an Anzac Day Dawn Service is conducted at the memorial. 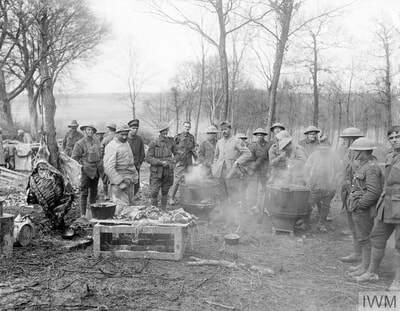 The ceremony pays homage to the Australians who served during the First World War and especially those who fought on the French battlefields and in the Somme. The bronze relief plaque, pictured above is by the Australian sculptor Dr Ross J. Bastiaan. 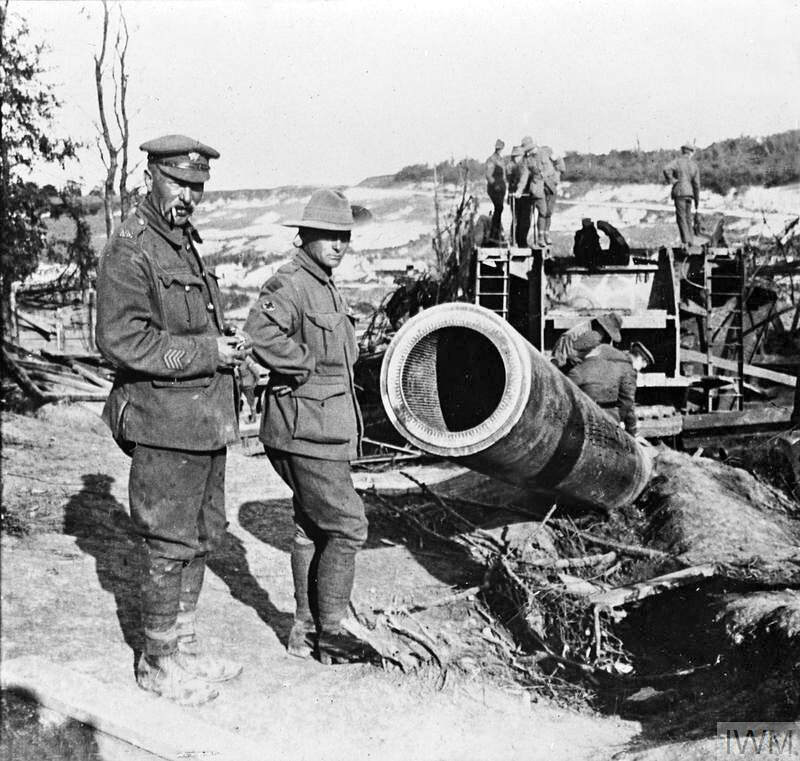 Following a visit to Gallipoli many years ago he was dismayed at the lack of on-site information regarding the Australians who gave their lives there. 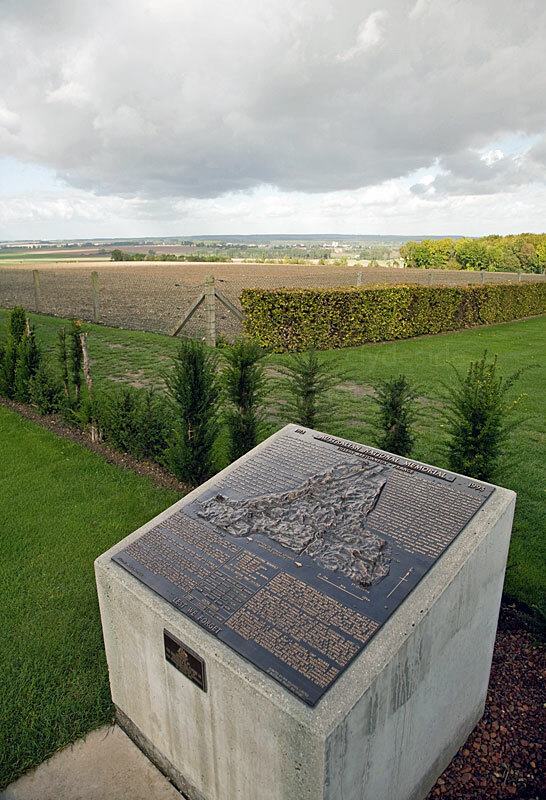 He realised that this was the case at all other arenas in which his countrymen fought and embarked on a project to install informative memorial plaques, relating not just to the First and Second World War battlefields but also more recent conflicts. One hundred-and-sixty of Bastiaan`s plaques can now be found in over 20 countries world-wide. More information can be found on Ross Bastiaan`s own Website.